Featured on the CWInterests page of the the March/April 2016 issue of Christian Woman! 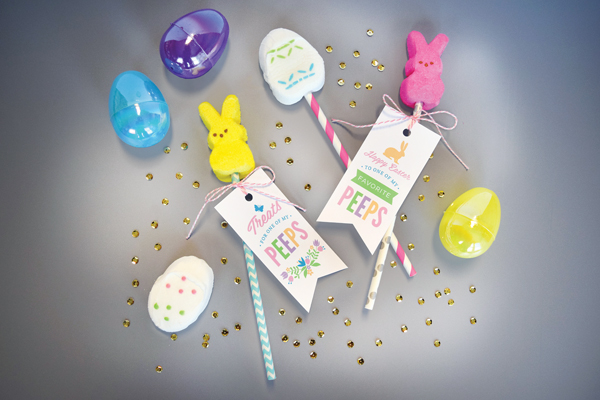 These Peep pops would be a great spring gift for your children to give away to their Bible class or friends at school. Download the printable gift tags here and attach them to the pops or wrap in cellophane and attach to the outside of the package.